It is always interesting to view my paintings from past years. 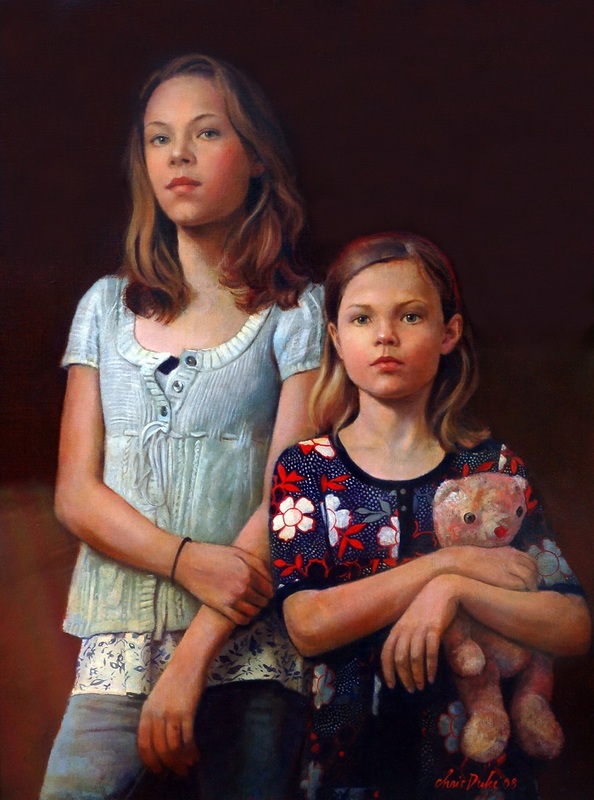 I love the sensibility of these young girls and how they emerge from the background. The girls' mother felt that the casual look, instead of fancy dress, depicts her daughters in a daily life mode that she loves to remember. I like that.